Today is the Philippines' Independence Day and if you are a long time follower of my blog, then you know that every year, Alexa of Alexa Loves Books and I celebrate with a feature called MABUHAY, to celebrate Filipinos in literature. This is our fifth (!!) year running it and it's one that's near and dear to my heart. 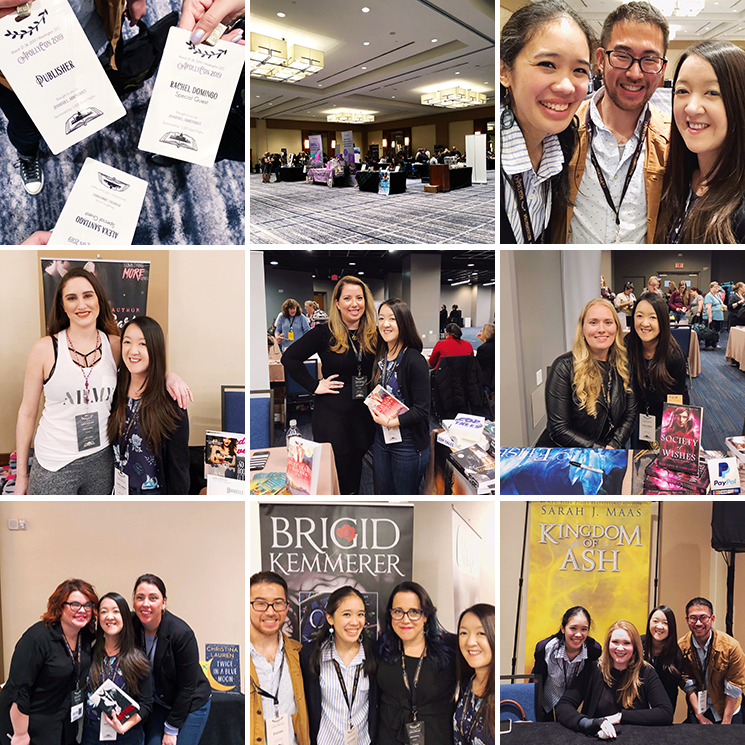 In the past we've talked about our upbringings, went to a Filipino restaurant, and connected with both amazing authors and bloggers. But this year we're doing something a little different and talking about Filipino music, more affectionately known as OPM (original Philippine music). And, as always, we were lucky to get a few Filipino authors to join us in celebrating today. Let's start off with the music! I honestly can't say that I grew up listening to Filipino music. Although my family is extremely musical (which is a long story for another day), they mostly listened to American music. Even my grandmother. She blasted the Righteous Brothers and Roger Whittaker nearly every day. My dad and uncles loved The Beatles. My mom's favorites are Elvis Presley, ABBA and The Bee Gee's. So when did OPM music come into my life? Surprisingly, it happened in college. Towards the end of high school, one of my cousins moved in with us from the Philippines and because of her, I started watching Filipino movies for the first time. And since I understand Tagalog anyway, it made things even easier. And it was through the movies that I started looking into the music since most of the time, Filipino actors and actresses are also singers. Alexa and I thought it would be fun to put together a list of our favorite OPM songs. We each chose five and I mostly focused on the songs I loved in college (I don't really listen to any more now unless Alexa sends me a song!). Tuwing Umuulan by Regine Velasquez | She was my favorite OPM singer at the time. She has a beautiful voice and is known for her pop ballads. Tell Me Where It Hurts by MYMP | You all know I'm a sucker for cover songs and MYMP is pretty much a cover band. I love their acoustic renditions and sometimes even like them more than the originals! This is my fave of theirs. Akala Mo... by Aiza Seguerra | She's another one with a powerhouse voice and while she has a lot of popular songs, this one from an early EP has always stood out to me. Isang Ngiti by Lloyd Umali, Keempee De Leon, Bebo Saavedra | So fun story, Lloyd Umali is a popular OPM artist and he's my cousin's cousin! And And Bebo, the other vocalist on this track, is my first cousin. I've always loved their voices and played this song a lot when I first heard it. Your Love by Marie Digby, Sam Milby | This song came out long after I graduated from college but I had to include it! Marie is a YouTube star who isn't Filipino but became super popular in the Philippines. She even went there to record the album which has this song. It's a duet with an actual OPM singer and actor (who I happen to think is extremely cute). And while it's totally cheesy, it's also catchy and I love it anyway. We've been so lucky to chat with authors about Filipino culture and its presence (or lack thereof) in literature. Today I have C.V. Wyk and Juleah del Rosario on the blog, while Alexa is featuring Tif Marcelo and Marie Miranda Cruz. 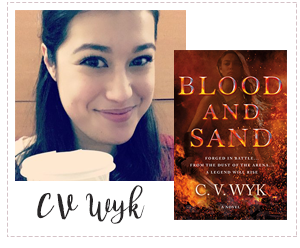 C.V. Wyk, author of Blood and Sand answered the question: "As a Filipino, what do you find special or inspirational about our culture?" One of the aspects I love best about my Filipino heritage (other than the food) is how it incorporates elements from several cultures into one unique, complex, and incredible legacy. I am half Filipino and half Mexican, so I grew up speaking a mash-up of Spanish, Tagalog, and English. The Tagalog language uses quite a few Spanish words—something reflected in many common surnames—but there are nearly 200 dialects spoken in the Philippines, depending on what region your family comes from. Mine is from Manila, and my dad has told me so many stories about his childhood in Tondo, where a lot of my relatives still live. The sheer diversity found in the Philippines has always been something I’ve identified with. As someone who is biracial, I have a deep appreciation for finding the places where cultures intersect, whether it’s through language, religion, or even physical characteristics. Several friends of mine are also half-Filipino, and it’s always fun to learn what parts of their childhoods were different from mine and what parts were the same. Some grew up Muslim, some grew up speaking Ilocano, but we all grew up loving lumpia and pancit, and in the end, those variations between us are what make being Filipino so special. 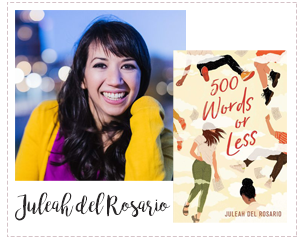 Juleah del Rosario, author of 500 Words or Less, answered a few questions: "What aspects of Filipino culture would you like to see more of in the books you read?" I’d like to see more exploration on the legacy of colonialism, both Spanish and American, and how that might shape one’s understanding of Filipina or Filipina-American culture and identity today. Often we focus on aspects of culture that include food or language, but history provides a lens into the complexity that is cultural identity. And, "As a Filipino, what do you find special or inspirational about our culture?" 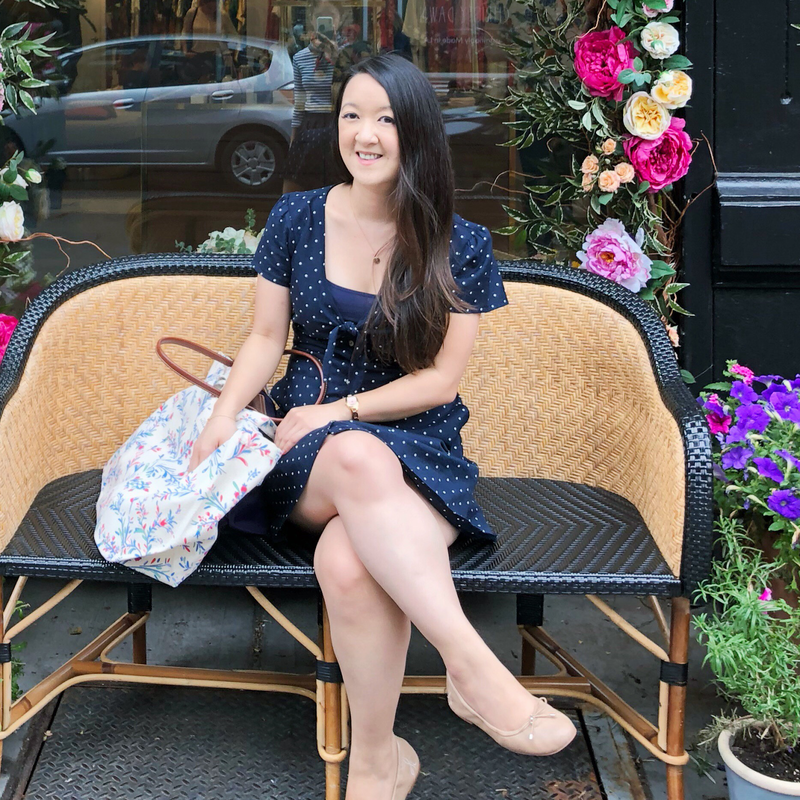 While this may be specific to my own Filipina-American experience, I attribute the value of education, particularly higher education, as something that has been passed down from my Filipino grandfather to my mother and ultimately to me. Many cultures and families pass down the value of education, but I think it’s something worth acknowledging and often overlooked as something that can be culturally derived. Her book recommendation: Finally, I love that the Filipina-American experience is starting to emerge in books for young people. I highly recommend the latest such book, The House that Lou Built, by Mae Respicio. Hope you enjoyed today's post and don't forget to head over to Alexa's blog too! I love the song Huling Sayaw. ♡ I'm happy it's included in your playlist.